A member of the walking club Mondo Kayo revels as they march and dance down the route of the Krewe of Zulu parade on Mardi Gras day in New Orleans, Tuesday, Feb. 13, 2018. Families camped out from early morning to catch beads and stuffed animals thrown from float riders. Revelers took to the streets in elaborate or funny costumes evoking Marie Antoinette, President Donald Trump and glamorous vampires. And amused bystanders took in the chaotic scene from lawn chairs. 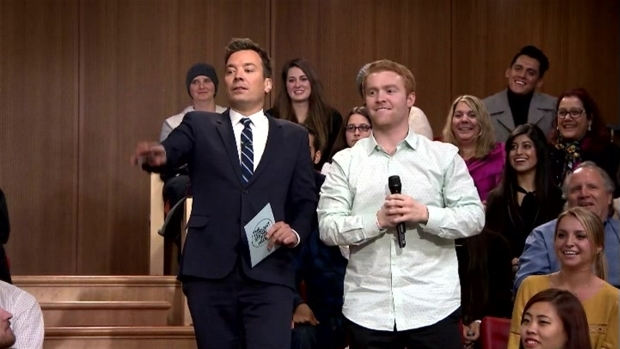 Host Jimmy Fallon invited the audience to participate in a freestyle session about Valentine's Day and Mardi Graas with house band The Roots. 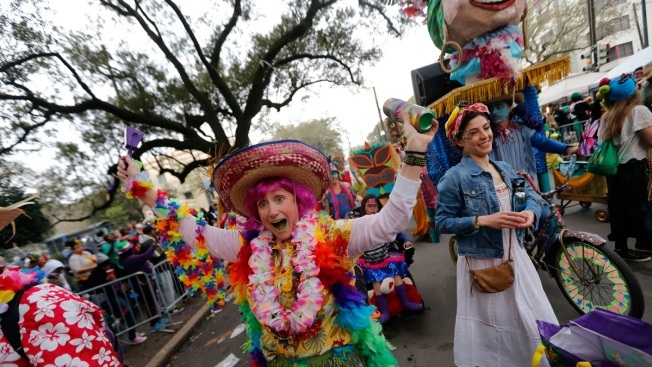 It's Fat Tuesday in the Big Easy. 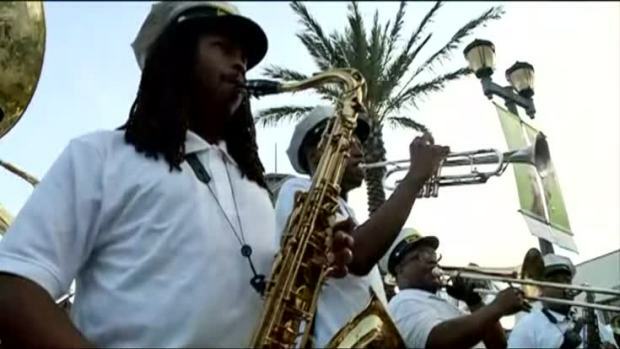 The Mardi Gras season is coming to a close today in New Orleans, but not before hundreds of thousands celebrate with one last day of parades and parties.